Tourists who visit the Rosendal Palace in Djurgården are in for a royal experience. This palace showcases a typical Swedish Empire style. Marvel at the impressive fixtures, textiles, and furniture pieces. This structure was built for King Karl XIV Johan. 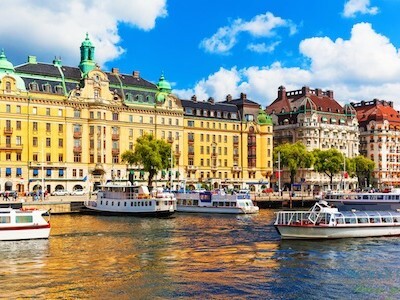 Ask if this is included in your free tour Stockholm package. Tourists looking for a taste of nature should visit the Butterfly House Haga Ocean, and spend time in the lush, tropical environment. It is home to hundreds of exotic butterflies, and other animals, like parrots and frogs. Another must-see exhibit is the Big Sea Aquarium tank that contains sharks and reef fish. At the Aquaria Water Museum, tourists get to experience to be in the middle of an Amazon rainforest. See stingrays, giant catfish, and piranhas. There is also a sea tank with sharks and a moray eel. There are beautiful corals to look at, crustaceans, and schools of fish. There is a café and a souvenir shop in the area, as well. For tourists who visit Stockholm to watch opera and musicals, they usually go to the Royal Opera House. Visitors can either watch the shows or join a guided tour where they get to see the backstage, visit the different royal rooms, and take a peek into the orchestra pit.